The 5th leg of the #LPGAAsianSwing takes us to Malaysia and the @SimeDarbyLPGA on @GolfChannel: Thurs. & Fri. 4-8 am ET, Sat. & Sun. 6-8 am ET. The final round of the @LPGALOTTE culminated with @BrookeHenderson winning the title once again. Check out all the best shots from the final round!
. 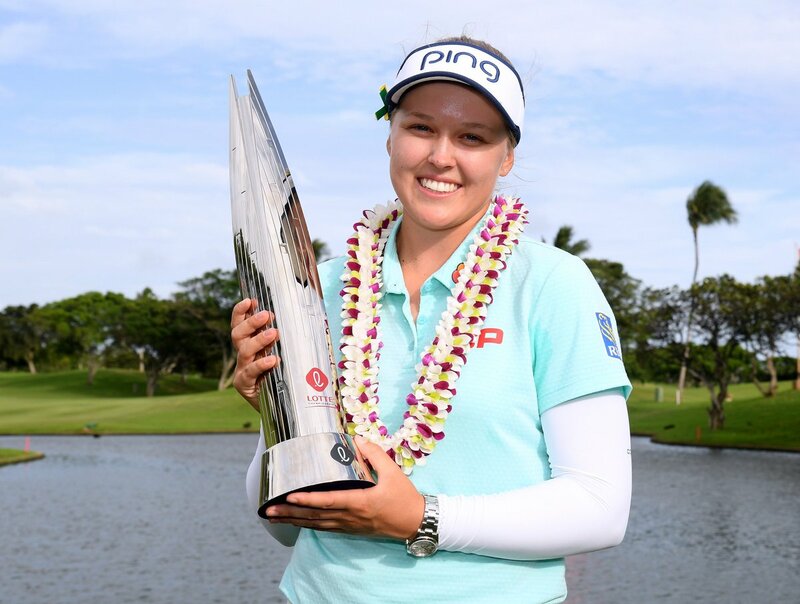 @BrookeHenderson battled high winds to shoot a 2-under 70 for the final round of the @LPGALOTTE and claim her first victory of the year. Brooke is heading back to Orlando! 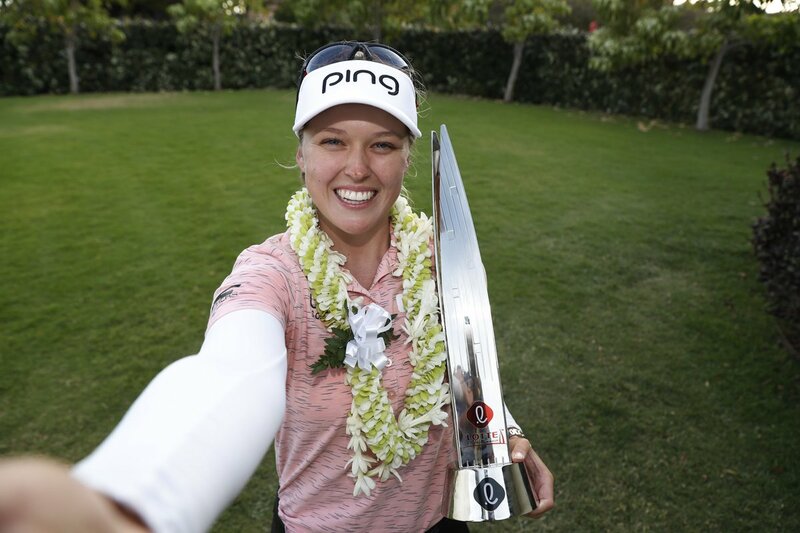 @BrookeHenderson already had her #TumiBagsPacked to the 2020 @diamondresorts Tournament of Champions with her win in 2018, and now she extended her stay through the 2021 event with her win at the @LPGALOTTE! 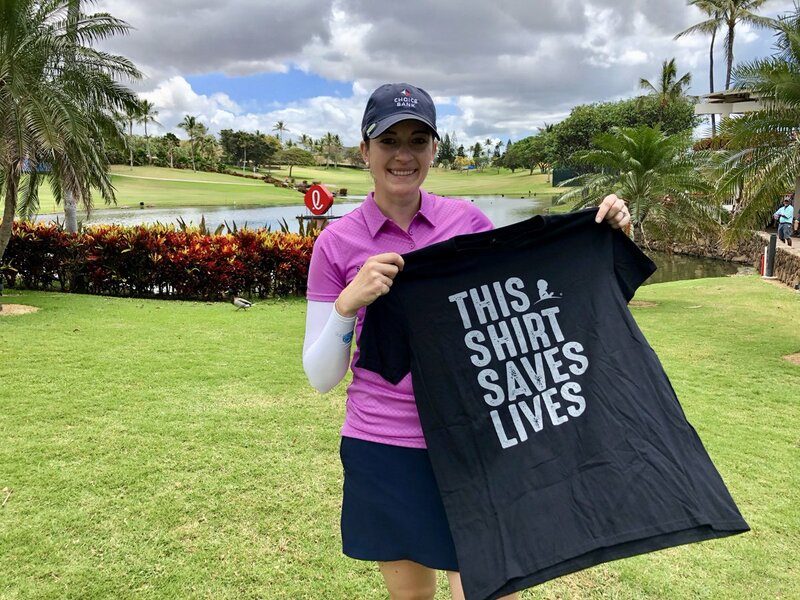 @KimKaufmanGolfrecorded an ace at the @LPGALOTTE& received a "This Shirt Saves Lives" T-shirt from @StJudeChildren's Research Hospital. 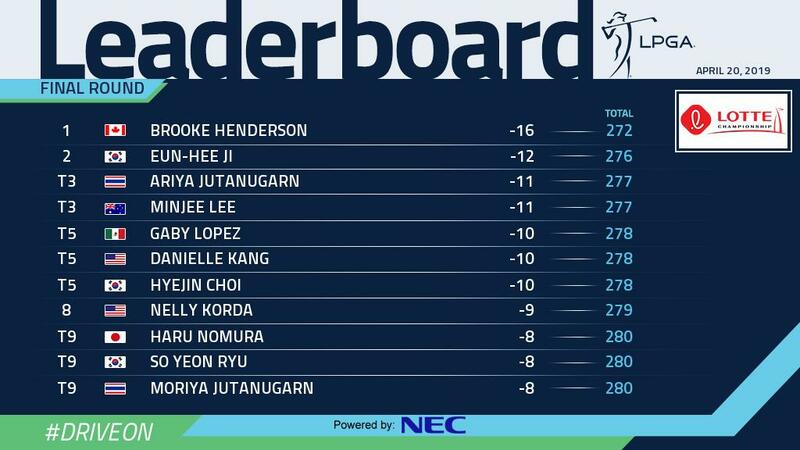 Total raised to date is $180,000.
.@BrookeHenderson battled the high winds and a tough field to earn her eighth career victory at the @LPGALOTTE. "It's so windy, I'm just glad I was able to come out on top." @BrookeHenderson spoke with @JerryFoltzGC after her winning putt fell at the @LPGALOTTE.
.@BrookeHenderson wins the @LPGALOTTE, claiming her eighth @LPGA title. This is for every girl. Congrats to Alexa Pano - winner of the Girls 10-11 division #DCPFinals. Your future is bright! Ariya @Jutanugarn wins the 73rd #USWomensOpen! 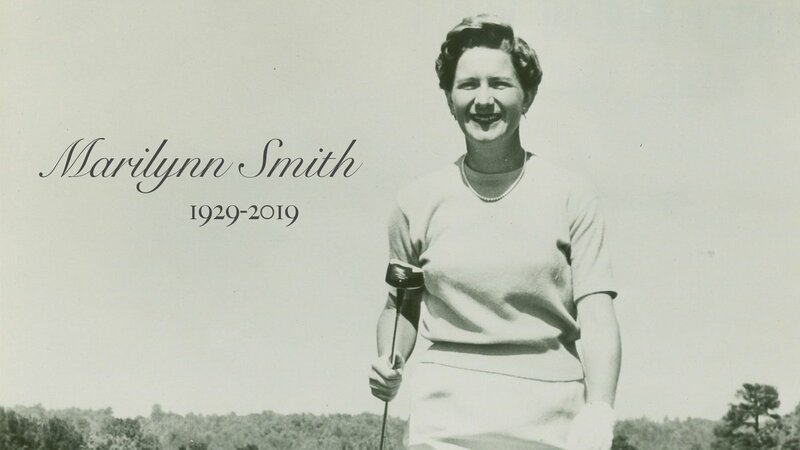 Retweet to wish a Happy Birthday! !